I was fresh out of college and living in Australia when I first experienced Boxing Day. I was clueless. I thought the Aussies were unusually eager fans of, well, boxing. If only I had Wikipedia back then. Now, Boxing Day simply reminds me that one person’s workday is another person’s holiday. 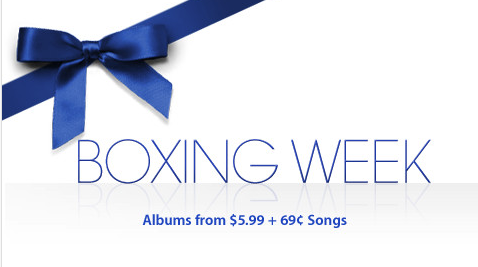 Apple is celebrating Boxing Week in selected markets, another sign of how global Apple has become over the past few years. As for me, I’ll be celebrating Boxing Week by watching some very American sports (but no boxing).